HANOI, Vietnam -- A former Vietnamese oil executive has surrendered to police after a year on the run amid a crackdown on corruption by the country's communist authorities. Trinh Xuan Thanh, 51, disappeared in July last year after he was accused of mismanagement at a subsidiary of national oil and gas giant, PetroVietnam, resulting in losses of some $150 million. Police issued an arrest warrant against Thanh in September. Officials have said he fled to Europe. Thanh turned himself to police on Monday, the Ministry of Public Security said on its website without giving more details. 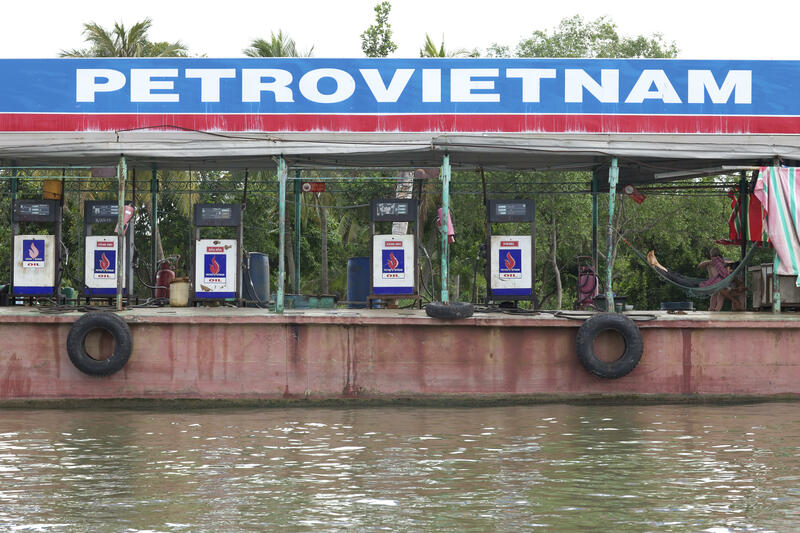 Thanh was chairman of PetroVietnam Construction Joint Stock Corporation until 2013 when he was appointed to several senior government positions including vice chairman of Hau Giang province in the southern Mekong Delta. He was elected to the National Assembly in May 2016, but was dismissed from the communist-dominated legislature before its first session the following month. In another development, a vice trade minister was facing dismissal for alleged wrongdoing as a company executive. The Communist Party's Inspection Committee said in a statement on its website Monday that Ho Thi Kim Thoa, vice minister of industry and trade, committed wrongdoing in buying and transferring shares of the Dien Quang Lamp joint stock company while she was chairwoman of its directors. The committee proposed that Thoa be stripped off all her positions. The ruling Communist Party and government have stepped up their anti-corruption drive over the past few years with courts handing down the death penalty against several senior executives. Transparency International ranks Vietnam 113 out of 176 countries in its 2016 corruption index.